This is circular walk across a golf course, through pine woods, down a riverside track, and along the route of an old railway. It starts and finishes at the Waggoners pub where you can park. Park just past The Waggoners and take the footpath on the other side just south of the pub on the west side of the road. The path heads south-west across the golf course through pine woods and over fairways until it reaches a laurel hedge on the far side by Brocket Park. Here you turn sharp right and walk north-east keeping the laurel hedge on your left until the path crosses a metalled track and then continues downhill, across another fairway, and uphill to woodland on the far side. 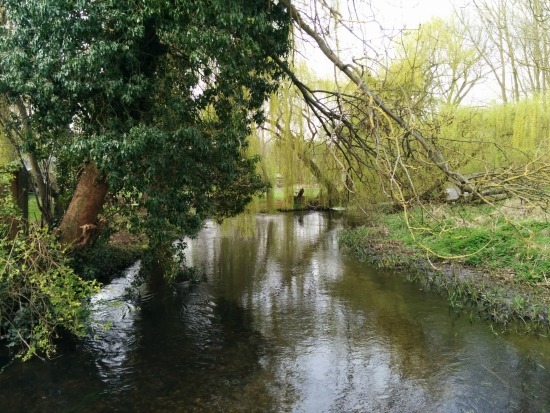 Walk through the woods and then keep with the path as it drops down and then continues north-west alongside the River Lea to Waterend. When the path emerges at the lane, turn right and, almost immediately, turn left along the Lea Valley Way. Almost immediately on your right you will see a footpath sign and a set of wooden steps. 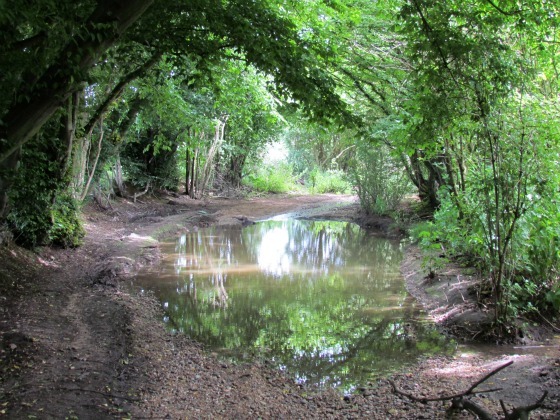 Ignore this path and continue heading north-west along the Lea Valley Way until you reach a footpath on your right heading north along the right hand side of woodland. This path continues until it meets the Ayot Greenway. Turn right on the Ayot Greenway and head north-east as it curves round to the end of the track where it meets a path leads down to a lane at a fork. 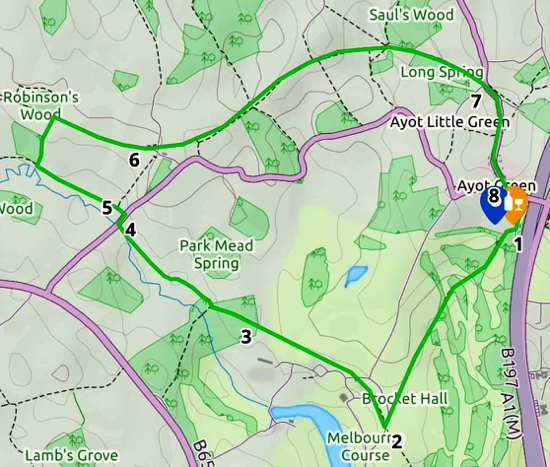 Take the fork heading south-east until it reaches Ayot Green. Walk through the village and take Brickwall Close to the right just before the bridge over the A1 (M) which takes you back to your car. You can find out who is behind this site by visiting our about page. We also have a page with walking tips, which is worth reading before you set off. Information about the content that appears on the site is set out on our copyright page.